Voters in Pakistan’s general election outrightly rejected political parties with extremism records and candidates linked to banned terrorist groups, opting instead to back liberal forces in a support for peace. Pakistan and Afghanistan, the two remaining polio-endemic countries, have joined forces to eradicate poliomyelitis by vaccinating their children in synchronised campaigns. A military operation by Pakistan’s army has been proving fatal for Taliban militants who held sway over vast swathes of the Federally Administered Tribal Areas (Fata) for over a decade. They crossed over the border from Afghanistan and took refuge in Fata after their government was toppled by US-led forces towards the end of 2001. 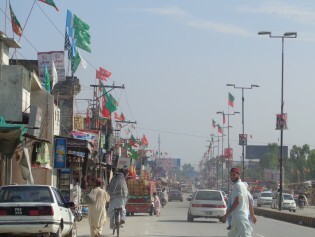 After a few years, when they got a toe-hold in the region, they extended their wings to all seven districts of Fata. Not any more. “We are extremely happy over the government’s initiative to give money to the pregnant women and enable them to seek proper treatment,” said Sharif Ahmed at a basic health unit (BHU), near Peshawar, the capital of Khyber Pakhtunkhwa (KP) province. It has been seven months since a group of gunmen raided the Army Public School in Pakistan’s northern Khyber Pakhtunkhwa (KP) province, killing 145 people, including 132 students. Pakistan’s announcement that it has lifted the moratorium on the death penalty in response to the Dec. 16 attack on the Army Public School and College in Peshawar continues to draw severe criticism from human rights groups, which say that this contravenes international treaties signed by Pakistan. “Our children quitting school is the greatest pain we have suffered during our troublesome lives here,” says Multan Shah, a vegetable-seller in a shantytown of Peshawar, the capital of Khyber Pakhtunkhwa, one of Pakistan's four provinces.